New Generation Granit Supervessel Ensures Continuous and Consistent Supplies of Superb Quality Norwegian MSC Certified Source Seafood. Launch of the latest Granit fishing vessel is a Milestone for the Norwegian Fleet and Heralds in a New Era for Fish Friers. For the past 20 years "Granit" has been the byword for top quality Norwegian frozen at sea cod and haddock, distributed in the UK by Unique Seafood. Last September, a new generation Granit vessel was handed-over and named at a ceremony in Norway. The new Granit is the largest, most technologically advanced, Norwegian fishing vessel afloat and represents a milestone for Norway^s fleet: A magnificent example of engineering, with hygienic state-of-the-art facilities for high volume catching of MSC certified source cod, haddock and prawns, rapid processing, freezing and storing at sea as well as separate forward storage for fish oil and fishmeal. Harald Nissen, Managing Director of the Unique Seafood Group, said,"Unique Seafood is Granit^s trusted UK partner, working with the new Granit owners and their previous Granit vessel for 20 years. We can now further build on our Unique advantage of supplying consistent specification fish to the UK market in continuous volumes from a MSC sustainable source, which is a key message." "2018 prices for cod and haddock will be higher than in 2017. The Pacific Cod quota has been reduced and that increases demand for Barents Sea cod, as the US market will switch to Atlantic cod. Sterling^s volatility creates further challenges for UK importers." "It is inevitable more friers will look to reduce the size of portions served to address costs, as well as reducing waste. Unique Seafood can help fish friers to tackle current industry challenges and maximise the value from each fish. Granit^s latest on-board processing technology, automated consistent fillet cutting and portioning saves the fish frier time, avoids the need to cut fish on their premises and avoids waste. We^ve produced a guide showing fish cut options so Unique customers can order the fillets that provide the best value for their menus." "With no waste and consistent portion control, pricing is regulated and the business becomes more efficient. Regular customers at the fish and chip counter can expect the same portion size each time, which has not always been the case and has lead to customer dissatisfaction. "We are in a Unique position to work with fish friers in the UK, supplying top quality MSC source fish direct from the new Granit vessel and to specification to help build financially successful businesses and customer loyalty for the frier," added Harald Nissen. 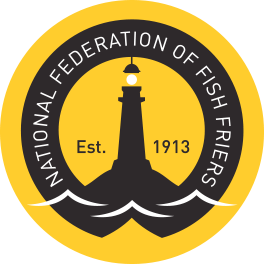 "Friers have become more professional in building and maintaining their reputation for quality and are educating their customers about the fish they serve. More customers want sustainable sourcing to ensure the industry has a future and know the Barents Sea is an MSC approved source. The market is changing very fast and we on the supply-side are helping chippies to be in front of the market, not behind. The investment in the latest Granit fishing vessel and processing technologies makes sound economics for the fishing company and for end customers alike, as well as making Granit one of the most environmentally friendly vessels in the world." Granit^s huge scale and sleek design equips her for the very worst conditions that can occur in the Barents Sea and North Atlantic fishing grounds. Each fishing trip is more productive, from catching, to processing, to on-board freezer storage capacity, ensuring continuous and consistent top quality Norwegian seafood supplies synonymous with the Granit name. The new Granit is 81.2 metres long x 16.6 metres wide and has a gross 4427 tonnage. Her cargo hold accommodates 775 tonnes of fillets and 61,000 litres of fish oil. All on-board processing uses the very latest de-heading, filleting, skinning, cutting, portioning, weighing and freezing technologies, saving fish friers labour, reducing waste and controlling costs. To the designs of Norwegian ship designers Skipsteknisk, Tersan Shipyard carried out the newbuild at their Yalova city shipyard in Turkey, which is one of the biggest, most modern and efficient shipyards in Europe. The company was commissioned because of their wealth of expertise in fishing vessel construction and met the required new-build timetable, handing over Granit ready for the naming ceremony in Norway. Speaking at the naming event at the Bekkjarvik quayside before an invited audience, MrAsle Halstensen, part of the Halstensen team and Captain of one of the vessels in the fleet said, "We are delighted with the design and build quality of the new generation Granit vessel and look forward to the future, continuing as key suppliers of top quality Norwegian seafish with our next generation Granit." Harald Nissen attended the vessel naming ceremony and said, "Seeing the vessel first-hand at the Bekkjarvik quayside was thrilling and confirmed all our expectations of quality, capabilities and scale. Unique Seafood continues as Granit^s exclusive UK partner and distributor of FAS cod, haddock and other whitefish as well as coldwater prawns direct from net to customers^ doors. The arrival of the new Granit vessel will play a significant role in the continuity of supplies of the highest quality Norwegian fish from MSC certified fishing grounds." Granit sails under the Norwegian flag and was designed by leading Norwegian ship design team Skipsteknisk. The vessel is operated in cooperation with AS Granit in Vartdal and production is marketed by Brodrene Sperre AS, with Unique Seafood Ltd the exclusive UK distributors. Granit is a class DNV +1A1, Stern Trawler, E0, TMON, Clean Design, Ice 1B. Main engine - 6960kW driving a 4200mm diameter CPP propeller. Auxiliary power comes from a pair of 1100kW gensets, plus the vessel has a PTO on the gearbox and a floating frequency shaft alternator. As well as catching whitefish, Granit is built to tow three trawls to catch shrimp using using Vonin 3200 mesh trawls spread with a pair of 16 sq mtr Vonin storm doors. Additionally Vonin supplied Granit with 740 mesh Bacalao trawls made from high strength low drag Fortis netting for twin-rigging on whitefish. technology to rapidly process large volumes of fish at sea, whilst ensuring first class presentation. Heading machines - Breivik S424 / Breivik 415 heading machines cleanly remove heads to allow continuous perfect presentation throughout the process. Filleting machines - Baader 190 and Velfag M 700 machinery provides the highest standard of filleting in the industry. Cutting & portioning - Valka cutting and portioning machinery provides the optimum fillets from each fish, as can be seen from these cutting diagrams. Freezing equipment - Optimar automatic horizontal plate freezers rapidly freeze vast volumes of fish to seal in the freshness.